BARCA dress. surprise for my boyfriend. HD Wallpaper and background images in the FC Barcelona club tagged: photo. 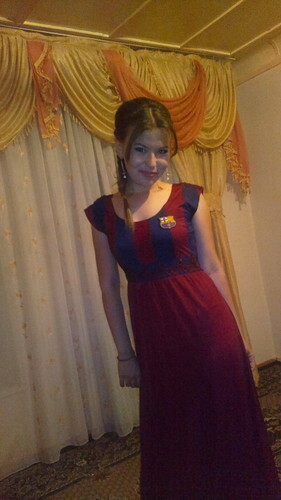 This FC Barcelona photo might contain kirtle.